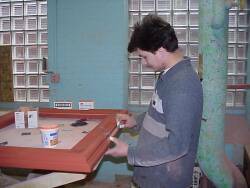 We spray all frames with gesso and clay. 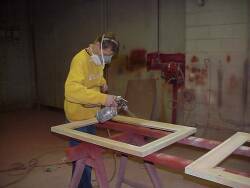 Every custom frame is sanded by hand. 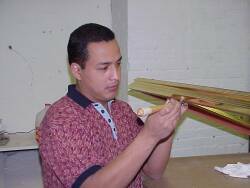 We offer gold-leaf, silver-leaf, and metal-leaf options. 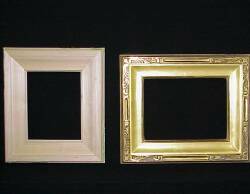 All custom frames are hand burnished which gives our frames a brilliant finish. REAL FRAMES FOR REAL ART!